It wasn’t just her death, it was the fact that she had a very difficult clinical course and much of the difficulty came from medicines. Either side effects of medicines or inappropriate use of medicines. So, I just saw opportunities really to make a difference in that space.. Professor Ross McKinnon lost his wife to cancer sixteen years ago. 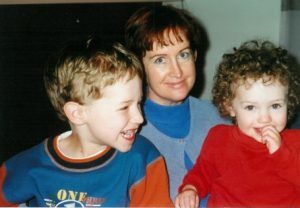 Diagnosed with an aggressive breast cancer at only 38 years of age, Professor McKinnon’s wife, Wendy, sadly passed away only 15 months later. Watching the way the treatment impacted her quality of life during this short time, was heartbreaking. Because of this, Professor McKinnon made a commitment to devote his life’s work to finding better ways to treat people with cancer. “She was pretty much unwell from the time she was diagnosed,” says Ross. “She had chemotherapy, which was standard care. She responded very, very well as aggressive tumours often do. The drugs made it so that it was really quite brutal. According to Professor McKinnon, one of the most exciting research projects he’s involved in is the precision medicine program. Its aim is to try and optimise targeted therapies to achieve better outcomes for cancer patients. “It’s not that long ago that all we had was chemotherapy,” says Professor McKinnon. 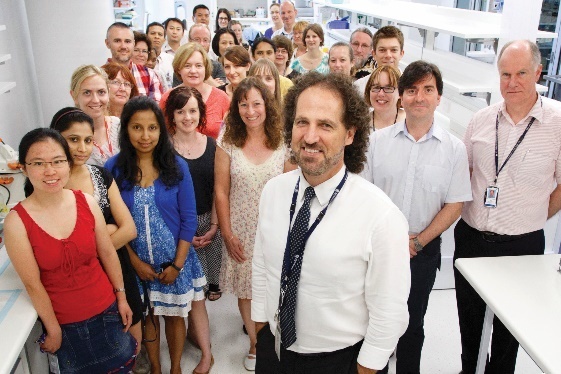 Professor Ross McKinnon and his team at the Flinders Centre for Innovation and Cancer. Thanks to your generosity, Cancer Council can fund important research like that being done by Professor McKinnon and his team. Please give generously today. Cancer Council Queensland offers support and information to Queenslanders affected by cancer. If you have been affected, or know someone that is, we’re here to help. For information and support, phone 13 11 20, Monday to Friday. If you have been moved by Professor McKinnon's story, please donate today to help fund research into new treatments. All donations over $2.00 are tax deductible. Help researchers understand the genetic changes that cause cancers to spread through the body. Help Cancer Council 13 11 20 provide confidential support on all aspects of cancer. Help provide accommodation or transport to a cancer patient and their family. Make a donation of your choice. A minimum of $10 is to allow us to cover payment processing fees.